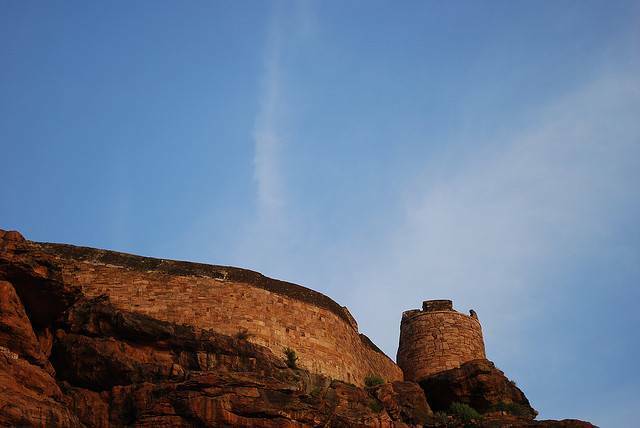 The Badami fort now mostly deserted was once ruled by Chalukyas in the ancient times. The fort is in the Bagalkot district of North Karnataka. The fort speaks out the long lost legacy of the Chalukyas and the Pallavas. The Nandi, who is also known as Shiva’s bull, guards the entrance to the fort. The northern part of the fort is believed to house the treasure of Tipu Sultan. There are two shivalaya at the fort, which had been made by King Pulakeshi II in the 5th century. The Upper Shivalaya was devoted to Lord Vishnu and Lower Shivalaya dedicated to Ganesha.